Oh thank goodness it’s back in print! 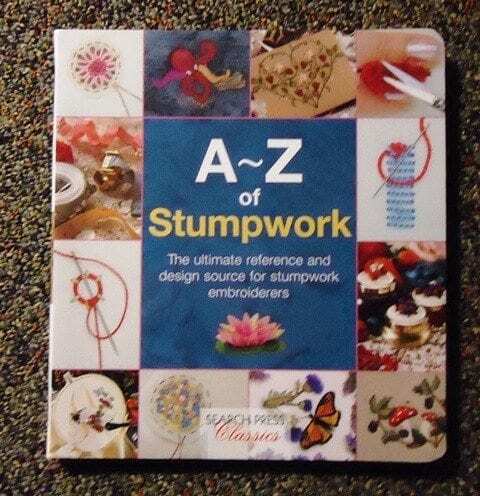 (If you already own A-Z of Stumpwork, this is the same book with a different cover.) This wonderful A-Z technique book is a must for anybody trying stumpwork. 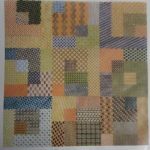 Although it’s shown on fabric in the book, many of these techniques are easily done on canvas too! Those of you familiar with the A-Z books know that the authors clearly illustrate, in full color, the stitches needed to create your masterpiece. This book is no different with pages 8 through 45 showing you a variety of stumpwork stitches and techniques! They include surface embroidery including raised and padded stitches, padding and slip techniques, wirework techniques, needlelace techniques and beading! Then the authors give you 20 different projects you can try and the patterns to do so. Flowers, animals, beas, berries, bugs and other items are all in these projects. At this price, you can afford to put this in your library! 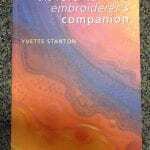 This book is paperbound, measures 8-1/2 x 9″, has full color and is 126 pages. 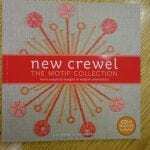 Get it before it disappears again!